I’ve been writing blog posts about audition tips for the past two years that I’ve been working with Juilliard Admissions. With the number of excellent bloggers this year, I decided to write about something different. Many of you who are interested in auditioning for the Juilliard Drama Actor Training Program will most likely have a good amount of ambition. Why not audition for one of the top drama programs in the United States? It has a good reputation and has produced a steady number of stellar alumni. Having gone through the program myself, I would say that having been given the opportunity to go through this journey has been one of the great miracles of my life. A part of it indeed, has to do with the name and prestige of Juilliard. More importantly, it is because the community within Juilliard and the principles that guide the people in the Drama Actor Training Program happen to align with my own principles— my “authentic self.” To put it more simply, Juilliard Drama and I were a good match. I mean, it could have been a total disaster. I could have gone into the school and have been thoroughly disappointed, miserable and decided that this was not a good decision and I should never have left my home country. But this had not been the case, despite the many challenges that I have faced in this Juilliard journey. In each phase, there were challenges that I had to overcome, some pain that I had to see through, some facets of myself I needed to deal with, but they lead to more depth and growth and a more solid sense of self. When you do audition for Juilliard, whether for dance, drama, or music, pay attention to the environment within the building. Do you like it? Do you feel at home? Do you feel like you can be yourself in this environment? Observe and speak with the current students, the staff or teachers (maybe after you’ve just finished auditioning so you won’t get distracted!). Do you like their vibe, were they honest, were they warm, did you feel like you can be yourself around these people, or do you feel as if you had to behave a certain way? Also, did you like how you were treated by the people facilitating the auditions? These are very important questions to ask yourself to help you determine which environment you feel you will most flourish. 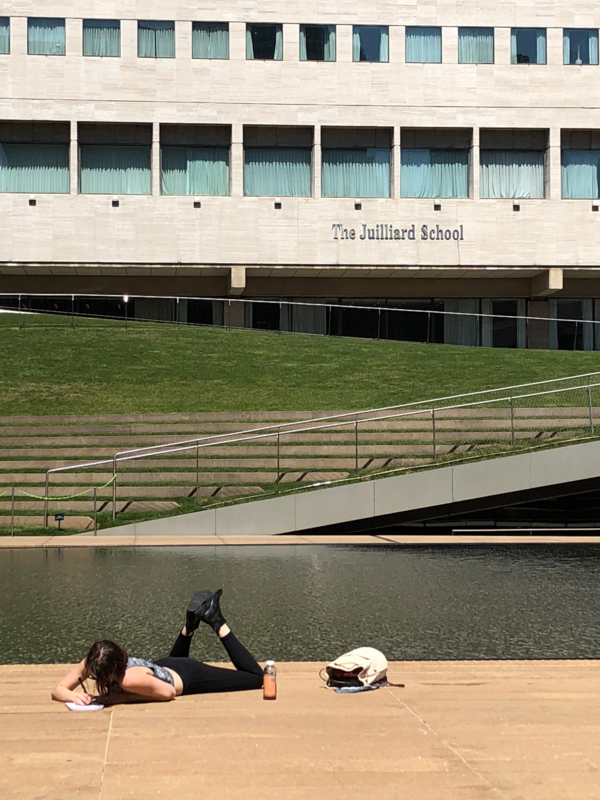 Just because Juilliard has a name doesn’t guarantee that it will be the best environment for your particular selfhood and talent to flourish. If you are an aspiring actor, I can very well understand why you would like to get into one of the top three drama schools in the United States (Juilliard, Yale, NYU). I have every intention of encouraging you to go for what you truly want. I also want you to take into consideration that in the event that you do get an offer from a training program other than these three, it doesn’t necessarily mean that you are less talented. The world of theater, film, and television are replete with actors of diverse backgrounds, not only in terms of race but also in terms of training and career paths. Indeed, many talented actors have gone through the top three schools, but much more have also gone through other routes. Know yourself and never compromise your authenticity for the sake of a shiny name.